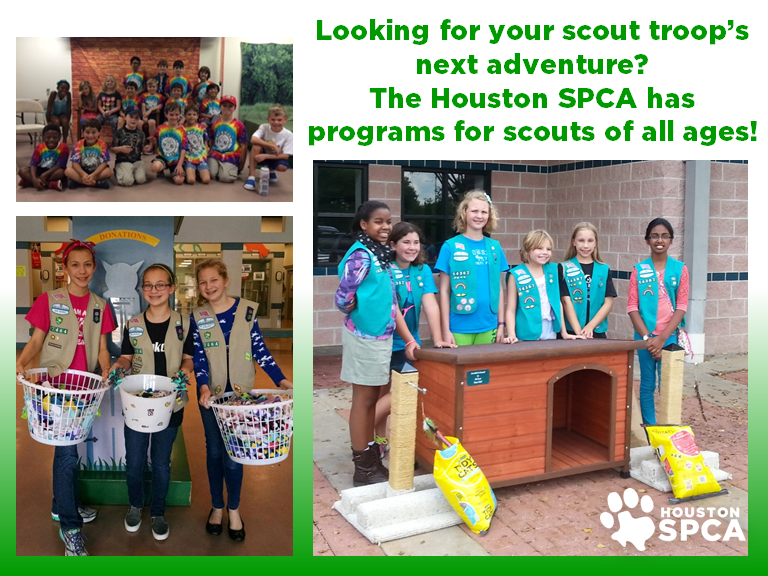 The Houston SPCA’s Scout Program offers scouts of all ages in the Houston area the opportunity to learn about animals and commit to helping animals at the Houston SPCA. We offer guided shelter tours to scout troops for free! Your troop can go on a tour of our shelter any day of the week – just schedule it with our Community Education department at least two weeks before you arrive. Booking for tours this fall has already started and weekends fill up fast. Please email or call the Community Education department (713-869-7722 ext. 143) to schedule your troop’s shelter tour today. Calling all Cub and Boy Scouts! Looking to earn that next belt-loop, pin or merit badge? If your answer is yes, the Houston SPCA can help you out! For Boy Scouts who want to earn the Dog Care merit badge, the Houston SPCA is the perfect place to start. Book a tour for your troop and learn about responsible pet care, how the Houston SPCA helps animals in our community, and what types of careers the Houston SPCA offers in animal welfare. Cub scouts can fulfill many of the requirements for the Pet Care belt-loop and pin at the Houston SPCA including taking a tour of our animal shelter, scheduling a meet and greet with a veterinarian, and learning about how animals communicate with each other and humans. Is your Girl Scout troop looking for their next fun patch? If you are a Girl Scout who loves animals and wants an exclusive patch for your sash or vest, this program is for you! The Houston SPCA Paw Pals Patch Program focuses on teaching safety around stray animals with lessons adjusted to each troop’s age level. All Girl Scouts participating will receive a unique Houston SPCA Patch and a colorful Paw Print Patch for $3 per scout. Troop leaders can purchase patch sets for their scouts during the on-site portion of this program. 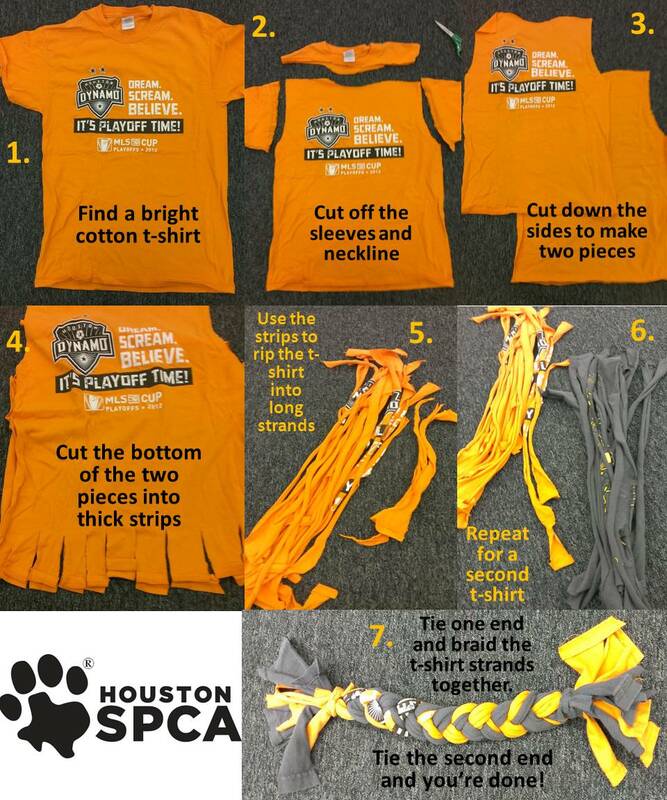 To receive the Houston SPCA Paw Pals Patch set, each scout must complete the activities in the appropriate troop leader’s guide (see below). As part of the Paw Pals Patch Program, each troop is required to visit to the Houston SPCA for a tour of our shelter. Is your troop ready to commit to the Houston SPCA? Looking for a service project to help you or your troop achieve your bronze award, silver award, gold award or Eagle Scout rank? Click here to check out a list of pre-approved projects for the shelter and click here to fill out an application to get started! Would your troop like to hold a donation drive for the Houston SPCA? Be sure to see our wish list for the items we need most at our shelter. To learn more about the Houston SPCA, check out our website – www.HoustonSPCA.org today! Categories: Houston SPCA, Scout Program | Tags: Animal welfare, Boy Scouts, Cub Scouts, Education, Educational program, Girl Scouts, Houston SPCA, Houstonspca, Humane Education, service project | Permalink. The Houston SPCA is heading back to school! The heat of summer may be sticking around but all of the kids in Houston are headed back to school – and so is the Houston SPCA! 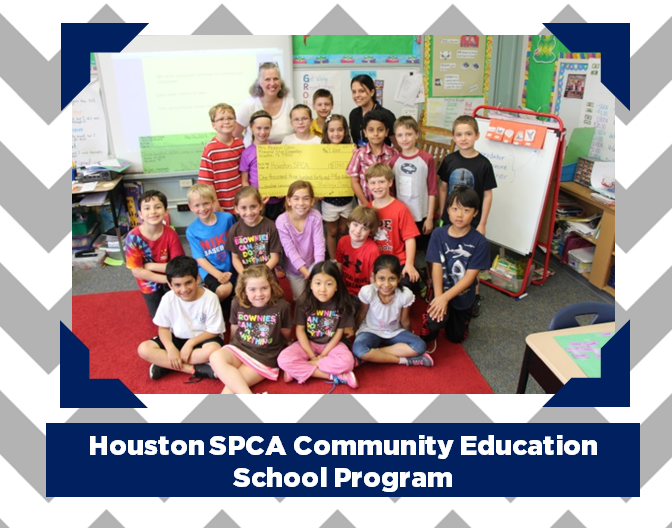 The Houston SPCA’s Community Education School Program focuses on teaching children the importance of empathy, kindness, compassion and caring for others while integrating necessary grade level state standards into each lesson plan created for the classroom. We also provide a broader scope of careers for students by relating many animal welfare working opportunities to them through our community education presentations. We frequently participate in school-wide events such as career days, health and safety fairs, environmental fairs and other community-related programs. For pre-K – 1st graders, we offer storybook reading sessions. Teachers can pick from our list of children’s books which includes stories about animals being rescued, how to interact with animals you just met and why animal shelters are important. Storybook reading sessions are between 20-30 minutes and can fit into any part of a teacher’s schedule. 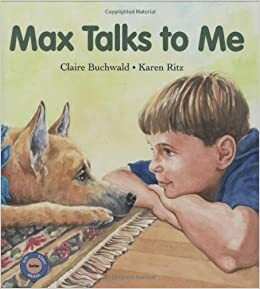 “Max Talks to Me” – Claire Buchwald. Alex and his dog, Max, are true friends – the kind that share each other’s excitement, comfort each other when they are sad, wait together when parents are away, and have fun wherever they are. Alex is learning that every good relationship is a mutual one. “Kamie Cat’s Terrible Night” – Sheila Hamanaka. Oh no! Someone forgets to put the screen back and Kamie jumps out the window. During her misadventure, Kamie gets a glimpse of how other cats live and comes to appreciate life with kind Mr. Wong. 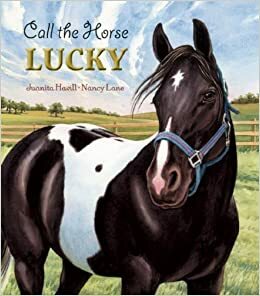 “Call the Horse Lucky” – Juanita Havill. While visiting her grandmother in the country, Mel discovers a neglected horse. Moved by the sight of the rib-thin pinto, Mel starts a rescue process that results in the pinto’s being moved to a horse rescue ranch. 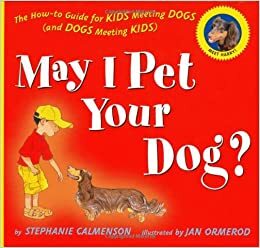 “May I Pet Your Dog?” – Stephanie Calmenson. 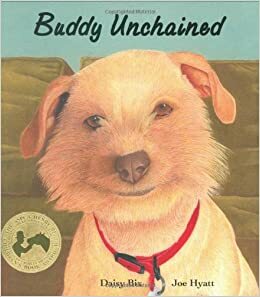 “Buddy Unchained” – Daisy Bix. Buddy, a lovable mixed-breed dog, is happy in a new home; he tells the story of his former life and how he was rescued and came to live with a caring family. 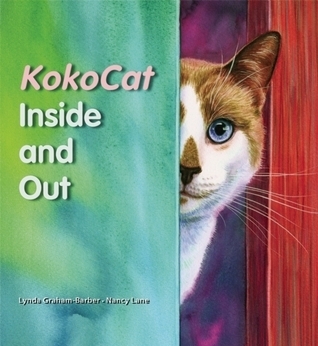 “KokoCat, Inside and Out” – Lynda Graham-Barber. KokoCat, a well-loved house cat, has seen the world only from the safety of her window perch. One day, she takes advantage of an open door and runs away to explore. Once outside, she finds that life is more complicated and less enjoyable than she bargained for. School-wide assemblies are best for multiple age groups and range in length from 45 minutes to 1 hour. Each presentation gives an inside look into the services the Houston SPCA offers the community. This program focuses on introducing students to the world of animal care and welfare. Students will learn about numerous animal-related careers, how those careers benefit animals, and what qualifications are needed for those positions. This program introduces the concept of animal cruelty to students and how it relates to bullying between peers. 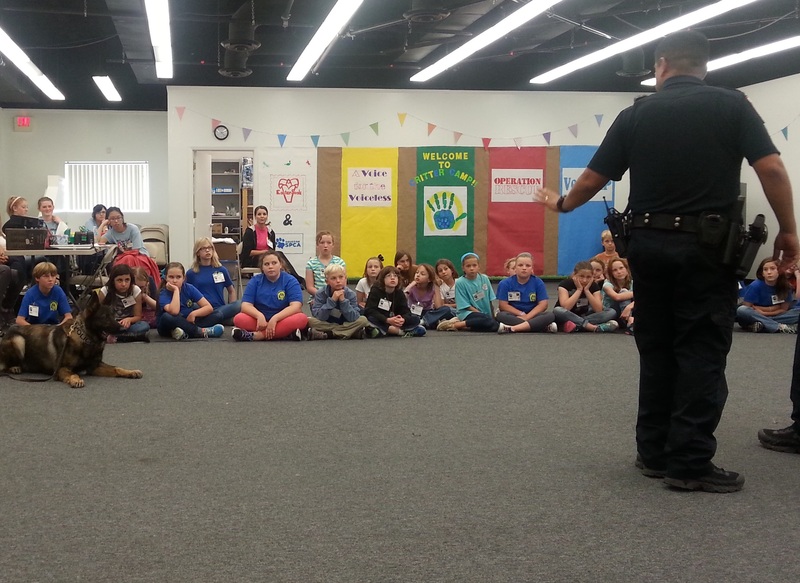 Focusing on empathy and compassion, students will learn what animal cruelty is, what to do if they see an animal being mistreated, and how to spread the word about proper treatment of animals. This program describes what animal behavior is, how animals can communicate with each other and humans, and what to do in a variety of scenarios with animals you have just met. Students will learn the differences between animals that are safe to interact with and those that should be left alone. This program gives an overview of the Houston SPCA’s mission and services it provides to the Houston community. Students will learn how and why animals are brought to the Houston SPCA, why adopting an animal from a shelter is so important, as well as how they can help our animals from home! In-classroom presentations are between 45 minutes to 1 hour and include full lesson plans for the teacher to use with their students. We have a variety of lessons available for 2nd – 12th grade that are either single-session lessons or project-based learning lessons. Project-based learning is a teaching method in which students gain knowledge and skills by working for an extended period of time to investigate and respond to a complex question, problem, or challenge. Students are given the opportunity to solve a real-world problem through extended research and solution-creating projects. Allowing students to learn through action increases the retention rate of taught information. Each PBL style program provided by the Houston SPCA has lesson plans for multiple sessions and a student project with grading rubrics available. 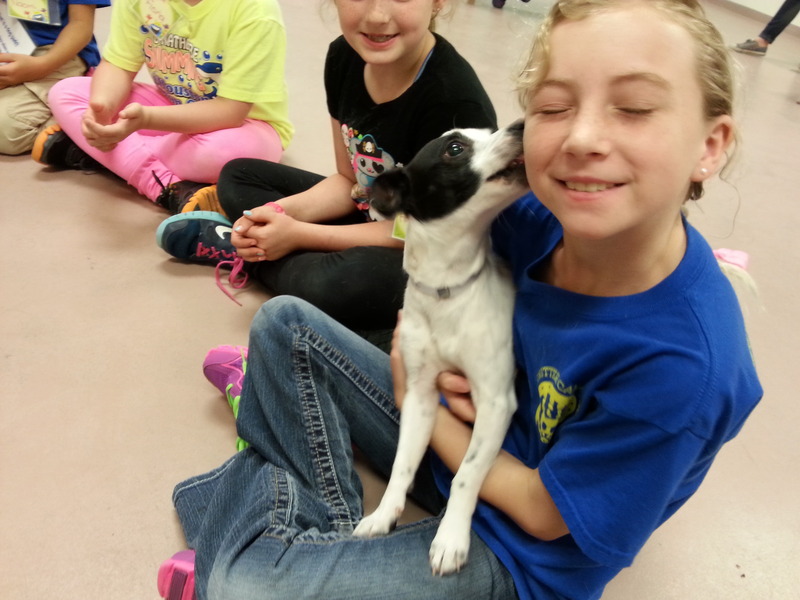 For the Houston SPCA’s full school program curriculum, please click here. To book your presentation, please e-mail or call our Community Education department (713-869-7722 ext. 143) today. To support the Houston SPCA’s mission of promoting commitment to and respect for all animals, please click here. Categories: Houston SPCA, School Programs, Schools | Tags: Animal welfare, Back to School, Career, Community Education, Education, Educational program, Houston Pets, Houston SPCA, Houstonspca, Humane Education, School Programs | Permalink. Summertime is here and so are the scorching hot temperatures that make us all reach for that extra glass of water. Did you know that, like humans, your pets can suffer from heatstroke? In fact, being outside all day or in a warm environment can affect an animal’s health just as much as it can affect ours. Here are some signs and symptoms of heatstroke in cats and dogs, as well as ways to prevent it happening to your pet. If your pets have any of the following signs or symptoms, take them to your veterinarian or an emergency veterinary clinic immediately! Keep your pets inside the house while you’re away. Your pets love the air conditioning as much as you do. Always find a shaded area for your pet — keeping them out of the sun will help cool their body. Avoid heavy exercise with your pets during the hottest hours of the day. Exercise with your pets outside during the early morning or late evening hours to keep them from overheating. Have fresh water available for your pet at all times. Be sure to use cool water, since ice water may constrict blood vessels and impedes the cooling process. Place cool, wet cloths around your pet’s paws. This helps with the heat that is being released through the pads of their paws. If you think your pet may be suffering from heatstroke, call your veterinarian immediately. It’s always important to watch your pet for any behaviors that seem abnormal. At the first sign of abnormal behavior, it’s time to act. Don’t forget to keep yourself hydrated this summer along with your pets! Founded in 1924, the Houston SPCA provides the most comprehensive array of animal adoption, shelter, rescue, rehabilitation and other programs and services in the Gulf Coast area. 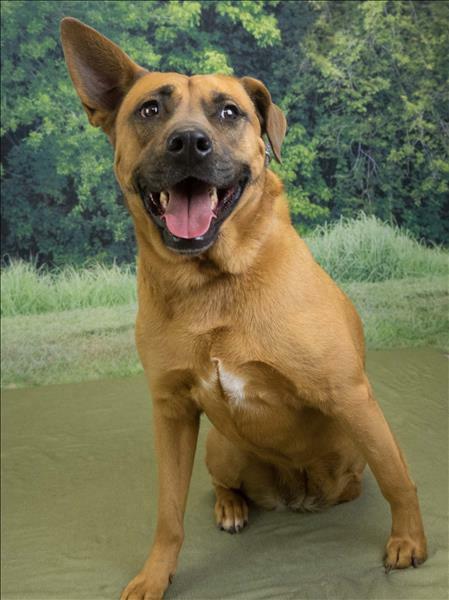 Check out all of our adoptable animals and consider the adoption option this summer. Thank You for Supporting the Houston SPCA’s Mission – Make a Donation! The information contained in this article is not intended to treat, diagnose or cure any ailment or disease, and is provided for reference. 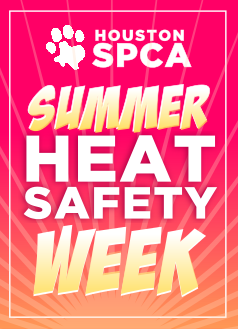 Please consult with your veterinarian with questions or concerns related to heat safety. Categories: Cats, Dogs, Houston SPCA | Tags: Cat, Cats, Dog, Dogs, Houston, Houston Pets, Houston SPCA, Houstonspca, Humane Education, Pet, Pet Tips, Pets, Summer Pet Tips | Permalink. When meeting new people, you probably don’t walk right up and hold their hand or give them the biggest hug you can, right? That could be awkward or uncomfortable depending on the person you are meeting. The same rules apply when meeting new animals. Learning the cues that animals give us before walking up and petting them is incredibly important and can determine the beginning of your relationship with that animal. Let’s check out some common animal behaviors that you can look for to help with your first interaction with a new dog or cat. For both cats and dogs we will discuss vocalization and body language. Purring is normally a sign that your cat is pretty happy. If your cat is purring, they probably wouldn’t mind some love and attention. For a new cat, you could introduce yourself calmly and start to pet them gently. Chirrups are sounds that a mother cat would typically use towards her kittens. You may hear your cat use a ‘chirp’ to ask you for something or ask you to follow them somewhere. Sometimes it helps when meeting a new cat to practice making a small chirping sound so the cat can be more comfortable around you. Hissing or growling (YES, cats can growl! )indicate a cat who is upset, angry or frightened. Stay away from this cat! They are definitely not safe to pet. What is Your Cat’s Body Telling You? A cat’s body language is incredibly indicative of how they are feeling at that moment in time. You have to keep a cat’s eyes, tail, ears and overall body posture in mind when determining if you can pet them or not. The best way to say “hi” to a cat you do not know is to turn your face or body sideways, then hold out one finger, at right about the height of her head, so she can come up and give you a good sniff. You only want to do this if the cat looks relaxed and calm. You definitely don’t want to offer your finger towards a cat who is hissing at you. Once the cat has sniffed you and possibly rubbed her head on your hand, you can go ahead and pet her gently behind the ears or on their back. You do not want to put your face near hers— she may like being pet, but you do not know if she will want to be that close to you. To meet a cat who may be shy, remember to be calm and patient. Never try to force interaction with a cat. Oftentimes a cat will approach someone who is not paying attention to them at all because they feel less threatened. You can try to use toys or small cat treats as ice breakers for a shy cat. It may just take a bit of time for the cat to warm up to you. Why Do Dogs Bark? What Are They Saying? Dog vocalization is also diverse, just like cats, and can include barks, whines and growls. A dog’s bark can actually mean quite a few things and learning to tell between the different types of barks can help make your first introduction to a new dog a bit smoother. If the dog you want to pet has a high-pitched bark, that may indicate excitement and happiness. They may want to play with you or want you to give them a treat. Dogs also have a low-pitched bark that may be indicating or alerting you to something going on that you do not know about yet. They may or may not want to be pet if they are vocalizing with a low-pitched bark. If the dog you want to pet is whining, they might be frustrated or want something they cannot get to. Whining may also sound very close to whimpering, which can indicate that the dog does not feel well. Definitely pay attention to the dog’s body language. He may be frustrated he is not being pet enough or might not be feeling up to being pet by a stranger. And as you already know, dogs can growl. Growling is the way a dog tells people and other animals to back off and give him space. Never pet a dog that is growling at you or any animals near you. And be sure not to punish a dog for growling- it’s actually a very important form of communication that dogs use, and punishing them for growling means they might not warn you before they bite in the future. When looking at a dog you want to pet, always be aware of their ears, tail, hairs on their back (hackles) and overall body posture. 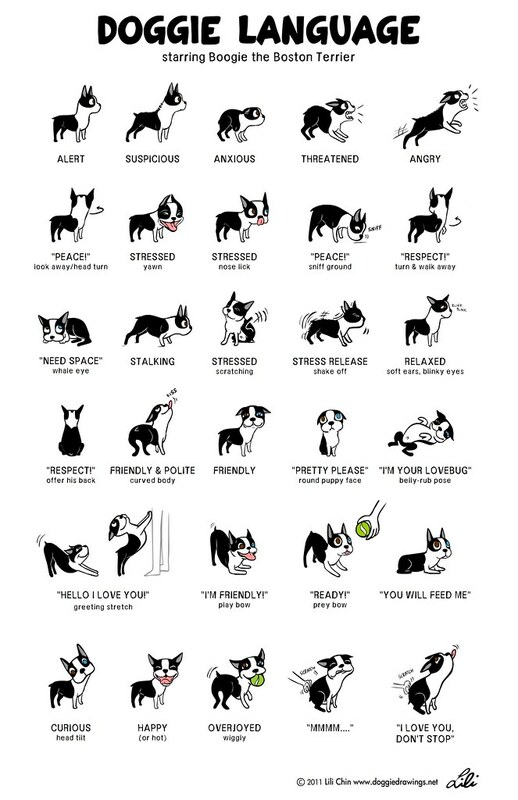 The chart below gives great examples of what a dog may be feeling based on their body language. So how do we introduce ourselves to a new dog? First, you do not want to stand directly over the dog. He probably doesn’t want to feel overwhelmed by having someone stand over him. Stand or sit next to the new dog and offer him your hand, palm down. Let the dog sniff your hand and if they look like they are comfortable, give them a gentle pet behind the ears or under their chin. Don’t go straight for the top of the head- this makes dogs very uncomfortable! You always want to avoid the dog’s mouth on your first pet. That’s where the teeth are. If the dog you are meeting looks a little nervous, give him time. Some dogs do warm up to people really quickly, others may take some time and patience for them to give you a good sniff and feel comfortable with you. This quick introduction guide is a great start for meeting new cats and dogs. If you are looking to adopt a new cat or dog into your family, this guide will help you when interacting with new animals at the Houston SPCA! Before taking an animal to your home to join your family, spend a good 10 to 15 minutes with them in our Meet and Greet rooms so you can see if the dog or cat’s personality matches that of your family. 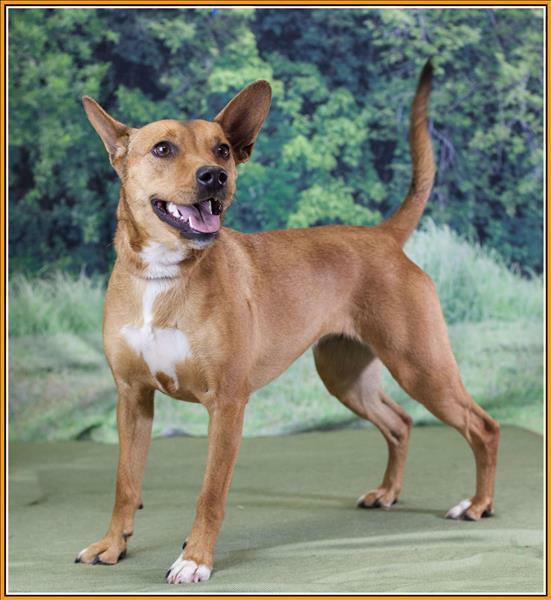 To see all of our amazing adoptable animals, visit www.HoustonSPCA.org today! Categories: Cats, Dogs, Houston SPCA | Tags: Animal Behavior, Animal shelter, Cat, Cats, Dog, Dogs, Houston SPCA, Houstonspca, How to pet a cat, How to pet a dog, Humane Education | Permalink. Looking for some Summer FUN? How about the Houston SPCA Critter Camp! Never heard of Critter Camp? 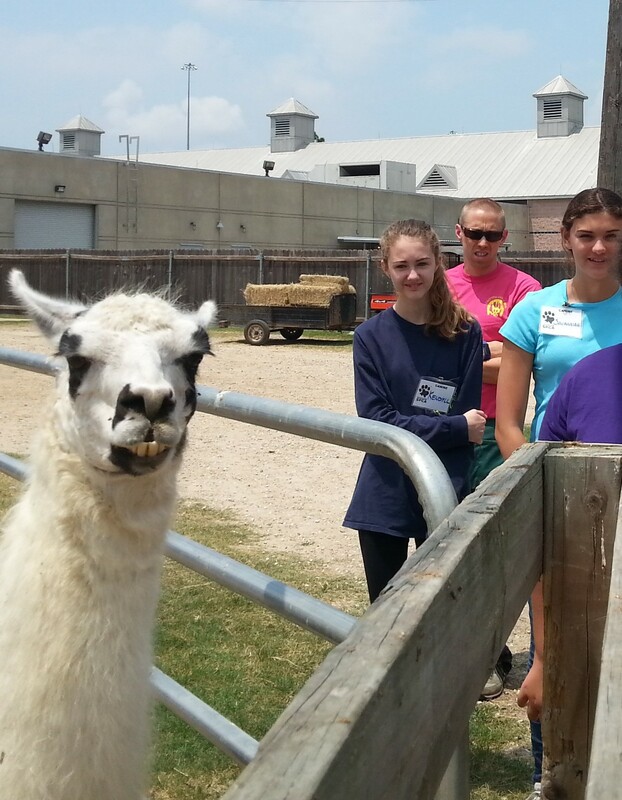 Critter Camp is the Houston SPCA’s day camp available during summer, winter and spring break. Each day from 9:00 am – 3:00 pm, campers ages 8-15 can come to the Houston SPCA to learn all about animals, hear from the Houston SPCA’s amazing staff, play fun animal games, create arts and crafts, and, last but not least, spend time playing with our adoptable shelter pets! Let’s jump in and see what a typical Critter Camp day looks like! 9:00 am – Campers arrive at the Houston SPCA and begin meeting new friends, playing fun games and learning about animals. 9:30 am – Our first guest speaker session! Our guest speakers are staff that work in a variety of departments at the Houston SPCA. Some of our amazing guest speakers include our animal behavior specialists, animal cruelty investigators, rescue ambulance team members, foster care coordinators, and veterinarians. Each guest talks about what they do for the Houston SPCA, the educational background needed to obtain their position, stories about their favorite animal experiences, and why they love to help animals every day. 10:00 am – Lesson about animals. 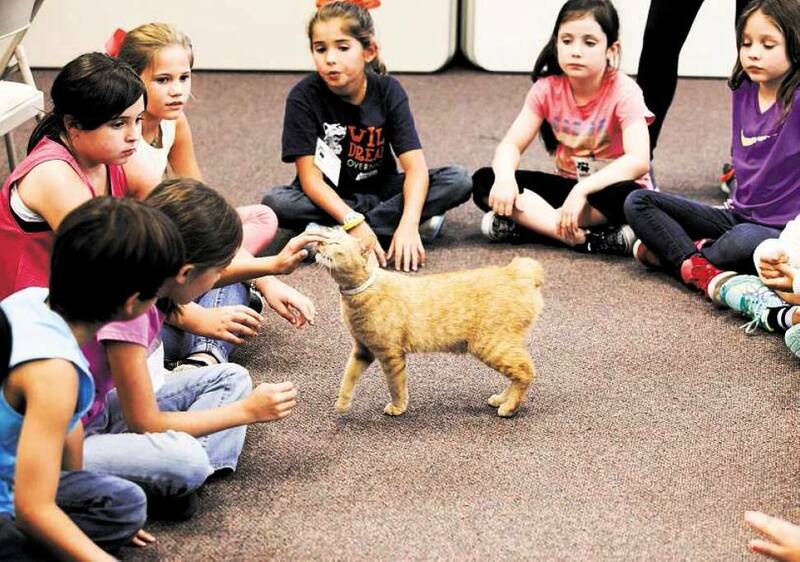 We have a variety of themes for our camps that include lessons about many topics relating to animals. These topics include animal behavior, basic animal care, anatomy and physiology of pets, Texas wildlife, and much more. These lessons include fun games or activities to keep our campers interacting and engaged. 10:30 am – Barn Visit! Did you know that the Houston SPCA has its very own barn where we house many equines and farm animals? Our campers get to visit the barn and meet some of our horses, pigs, goats and any other animals that might be residing there at the time. Many of these animals have been rescued from cruel situations and campers learn about the rehabilitation process the animals will go through before they can be adopted into a new family. 11:00 am – DIY craft time. 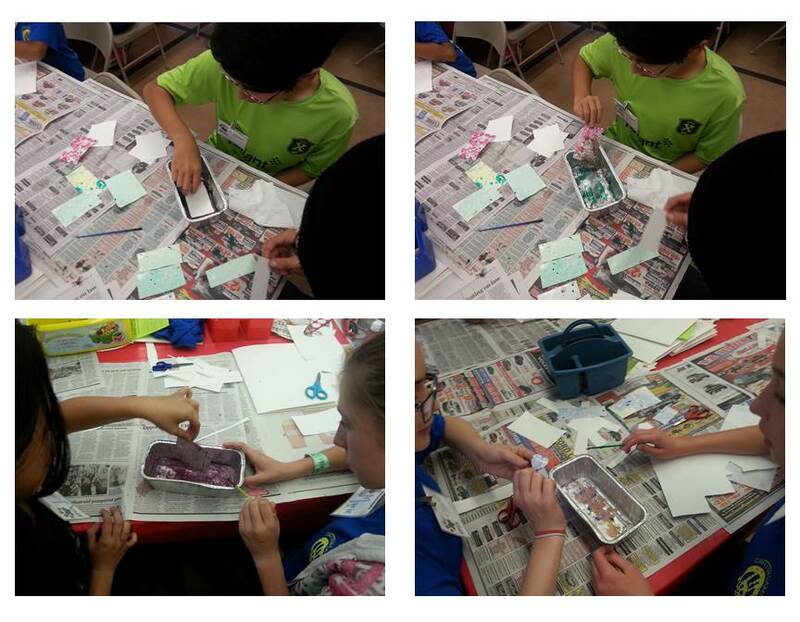 At Critter Camp we love to teach our campers how to create items that can help animals. Every day we create items that can be donated to our animals (or taken home for their family pet) or that teaches them more about animals. Some of my favorites include T-Shirt Tug Toys for dogs, birdseed feeders for our native wildlife and decorated savings banks for campers to save money to donate to their favorite charity. 11:30 am – Lunch time. During lunch we put on fun animal-related movies for our campers to watch. This gives everyone a chance to relax as the day goes by so fast! 12:00 pm – SHELTER VISIT!! This is our campers favorite part of the day. Everyone in camp goes over to the Houston SPCA animal shelter and gets to play with our large dogs, small dogs and cats. Our animal interactions are in a group setting so that each animal we play with gets lots of campers to love on. 1:30 pm – Second guest speaker session. We have another guest speaker join us in the afternoon. They will either be another Houston SPCA staff member or a very special visitor! We work with local service animal organizations who love visiting our camps to show our campers how amazing animals can be. 2:15 pm – More DIY crafts or game time. Our campers can decide if they would like to learn how to create new DIY crafts or if they would like to play games, play with puzzles, visit our arts stations they can do so. 2:45 pm – Snack time and parent pick-up. Campers are given a bottle of water and a healthy snack in the afternoon. Campers can choose if they would like to watch an animal video or play games / do craft activities while waiting for their parents to come. 3:00 pm – End of our busy Critter Camp day! Sign up today for our Summer Critter Camp! Summer Critter Camp registration begins March 25, 2015! Categories: Critter Camp, Houston SPCA | Tags: Animal shelter, Animal welfare, Critter Camp, Day Camps, Houston, Houston SPCA, Humane Education, Pet, Pets, Summer Camp | Permalink. February is pet dental health awareness month. To celebrate we have some of our very own smiling pups here to tell you all about keeping your pet’s teeth healthy! You know your dentist’s orders: Brush and floss twice a day to keep your human teeth nice and healthy. But what about your pet’s teeth? According to the American Veterinary Medical Association, 80% of dogs and 70% of cats show signs of oral disease by age three! Dental care is not always a priority at a vet’s office, but as a pet owner you can make it one. Having your pet’s teeth cleaned properly by a veterinarian can help prevent infections and prolong your pet’s life. 1. Take your pet to get a dental exam at your veterinarian’s office at least once a year. 2. Start a dental-care regimen at home – ask your vet for appropriate methods to help keep your pet’s teeth clean on a daily basis. 3. Schedule a yearly dental cleaning with your veterinarian. You have to go to the dentist once a year for a full dental cleaning – your pet should too! 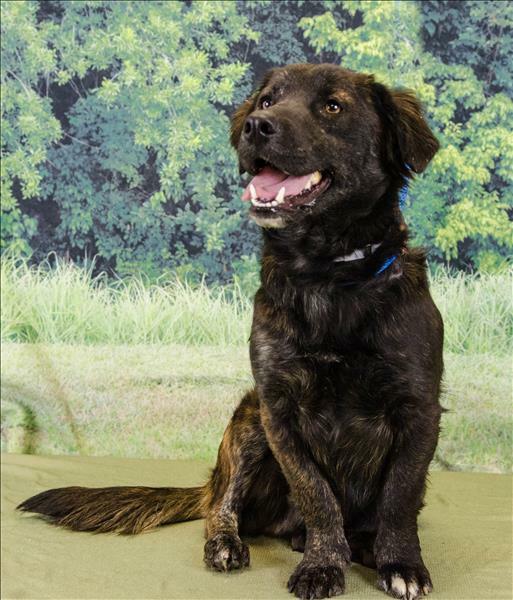 Categories: Cats, Dogs, Houston SPCA | Tags: Animal shelter, Animal welfare, Cat, Cats, Dog, Dogs, Education, February Pet Dental Awareness, Houston Pets, Houston SPCA, Houstonspca, Humane Education, Pet Dental Health, Pet Tips, Pets | Permalink. 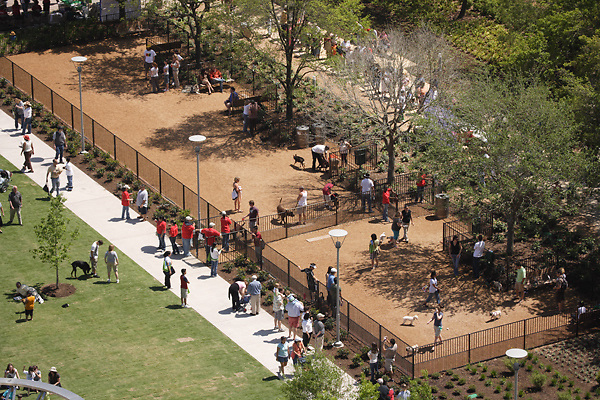 Minding Your Bark Park Manners: How to make the most of your dog park experience! 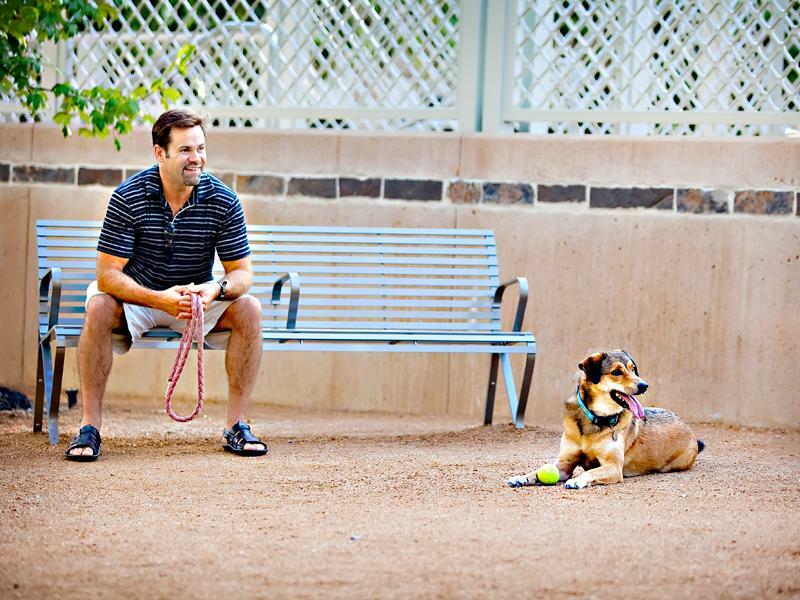 Dog parks can be an excellent way for you and your pet to get exercise and enjoy the outdoors. 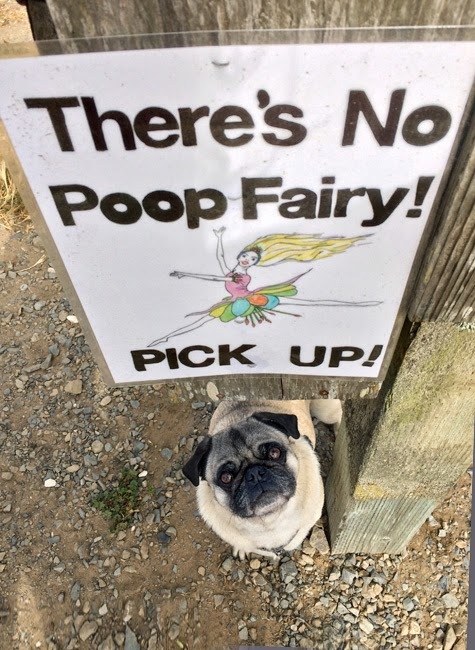 It is very important to know some basic facts and rules about dog park etiquette before bringing your dog into the local bark park. Most importantly, it is absolutely essential to be aware of canine body language to ensure the safety and enjoyment of your dog and the dogs around you! 1. Make sure your dog enjoys the dog park! If it looks like he’s overwhelmed or won’t leave your side, maybe the dog park just isn’t for him. And that’s OK! 2. Know your dog… and your dog’s limitations. You may think he’s having a blast, but make sure he isn’t ruining the fun for everyone else! Some dogs just don’t play well with others. 3. Survey the crowd first! Even if the park is usually fine, there might be different dogs that aren’t the best playmates. If it looks like your pup won’t get along with the others, it’s safest to just leave. 4. Only bring your dog in the appropriate designated size areas. Even if your little dog LOVES big dogs, there might be some dogs who think she’s a stuffed toy, so she’s safest in the small dog area. 5. If you see behavior you don’t like from other people’s pets, just leave. It’s not worth arguing with a stranger. If enough people leave, or management is called, then they will eventually get the message. 6. Don’t try to break up a dog fight by yourself. If you can, spray the dogs with water. Never grab a riled up dog by the collar —that’s the fastest way to get bit! Even your own dog can get caught up in the moment and bite you. 7. Keep a copy of your dog’s current vaccination records on hand, and always keep current rabies tags and registrations on your dog’s collar. 8. Children under the age of 16 should ALWAYS be accompanied by an adult, and it is generally frowned upon to bring babies and toddlers into a park full of sharp claws and teeth. 9. Leave food, treats and toys at home. These can cause competition and fights over resources. 10. SCOOP THE POOP! Every single time! Keep a vigilant eye on Fido so you don’t miss a mess! 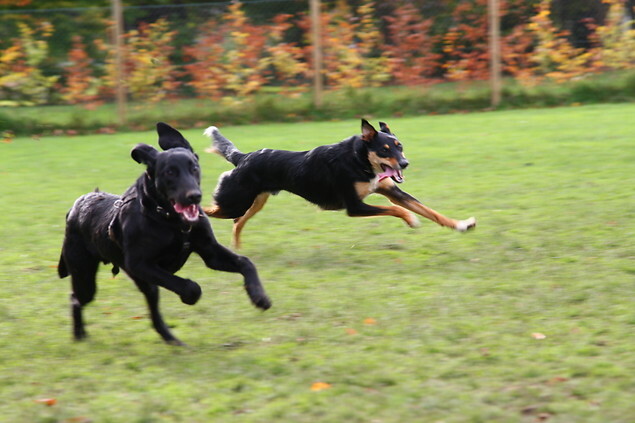 Exercise and socialization are vital elements of a dog’s life, and dog parks can absolutely offer both of these. However, it shouldn’t be relied on as their only form of stimulation. Be sure to take your dog for long, interesting walks and provide them with appropriate attention and affection. Many dogs enjoy and look forward to their regular trips to the local dog park. Be responsible and observant to ensure that every visit is an enjoyable one! 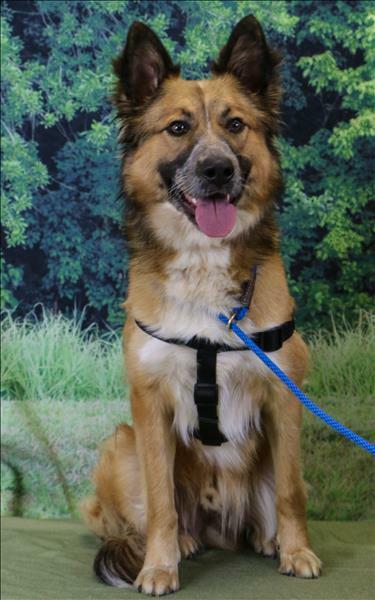 Categories: Dogs, Houston SPCA | Tags: Animal welfare, Bark Park, Dog, Dog Park, Dog Park Tips, Dog Tips, Dogs, Houston SPCA, Houstonspca, Humane Education, Pet Tips | Permalink. Click here to sign up for our emails!